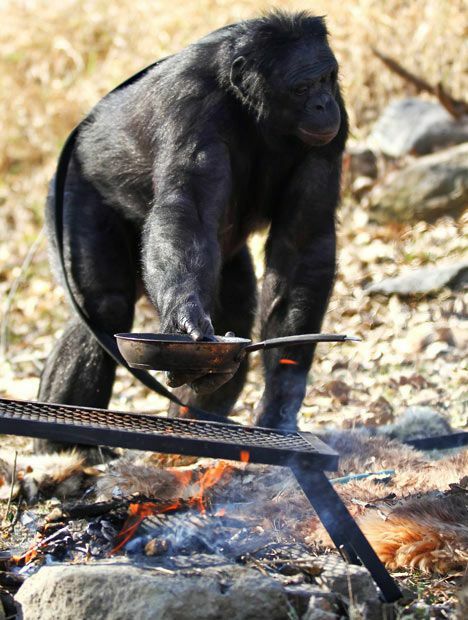 A 31-year-old bonobo (pygmy chimpanzee) Kanzi makes fire and cooks food. 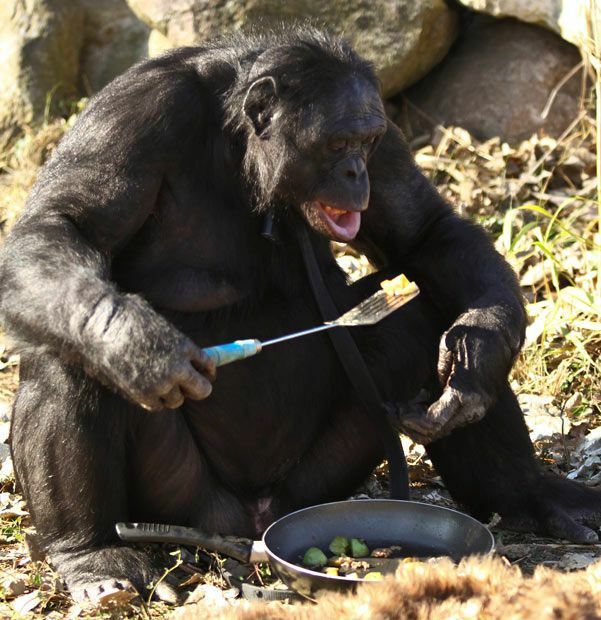 15 responses to "Food Cooking Chimpanzee (11 pics)"
Look at the arms on him! 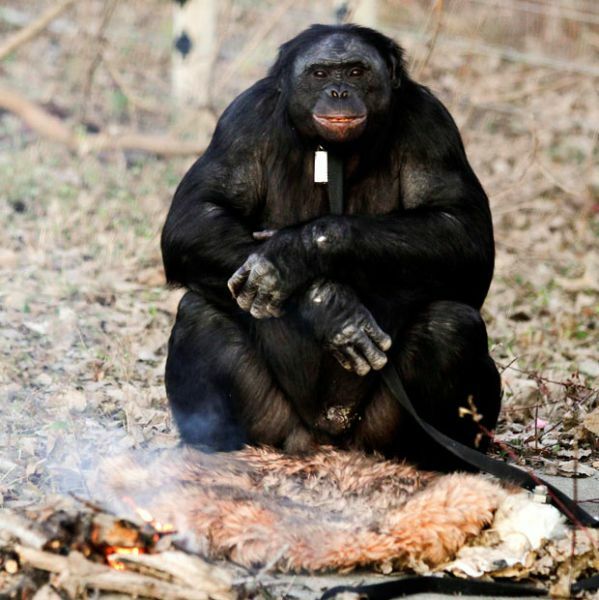 By the way, how long before this chimp eats the face off of the owner? I BET ROMNEY COULDN'T DO IT! DOES ANYONE HAVE THE RECIPES? 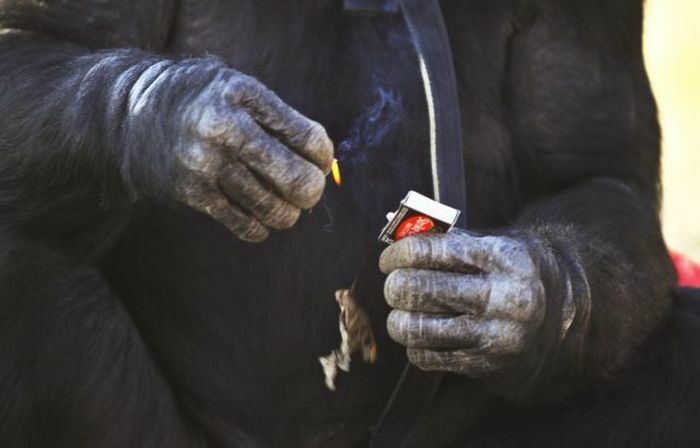 I wonder if he can roll a doob. And what is going to be next: pig with a law degree?.....ehmmm, I actually know a few! 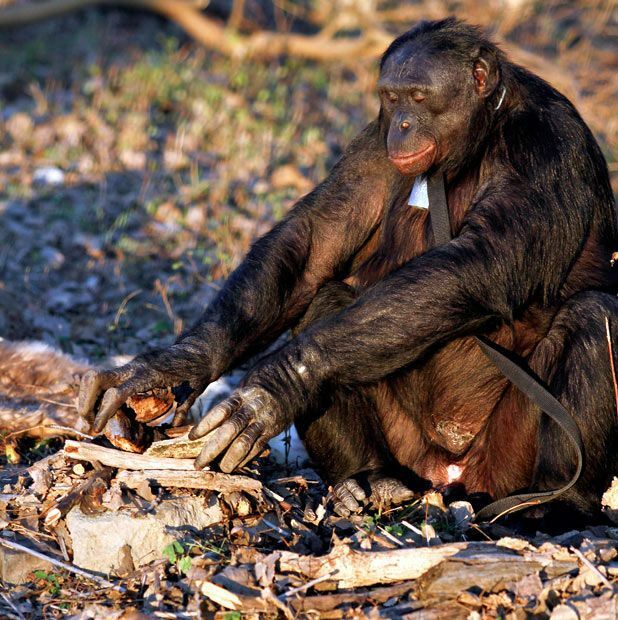 They have always pushed the chimpanzee on us as the smartest primate when it clearly never was. 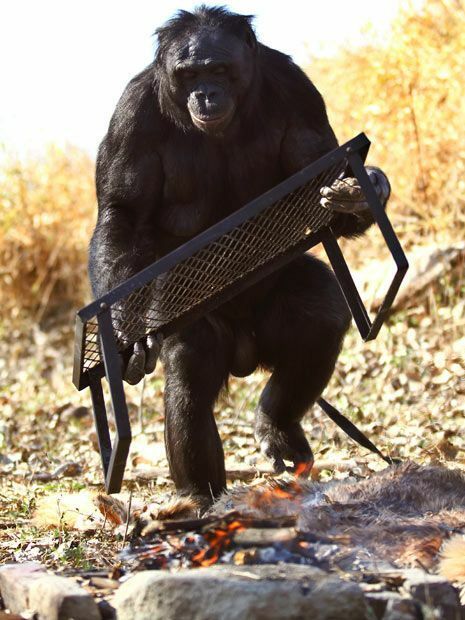 Probably a better cook than a lot of people. Thank you for this great post. 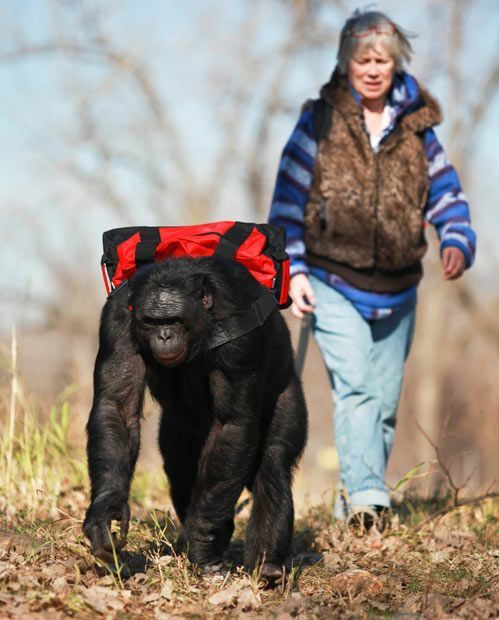 I’m pretty much speechless but I’ll just say that this throws an awfully big monkey wrench into the theories of animals not; using tools, or planning, or having insight, evolution, etc. 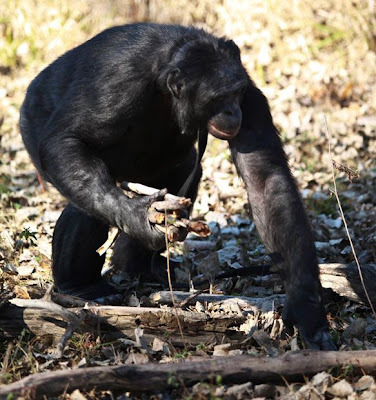 Most of the humans I know could not phantom what Kanzi accomplished. It is remarkable and humbling. 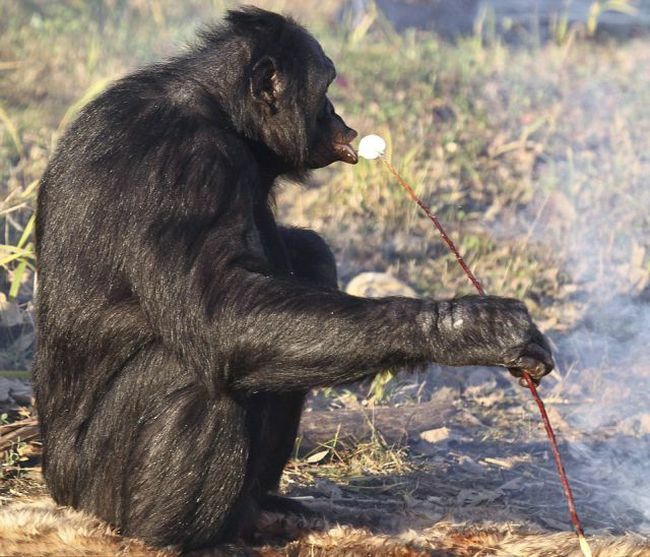 Someone taught that chimp to do those things. He is just copying behavior and didn't discover how to do anything on his own. Monkey see, monkey do. Not impressed. Elephants were taught to paint. Do they know what they are painting? I doubt it. They just copied and learned to copy what they were shown to do over & over. Better than most women I know. 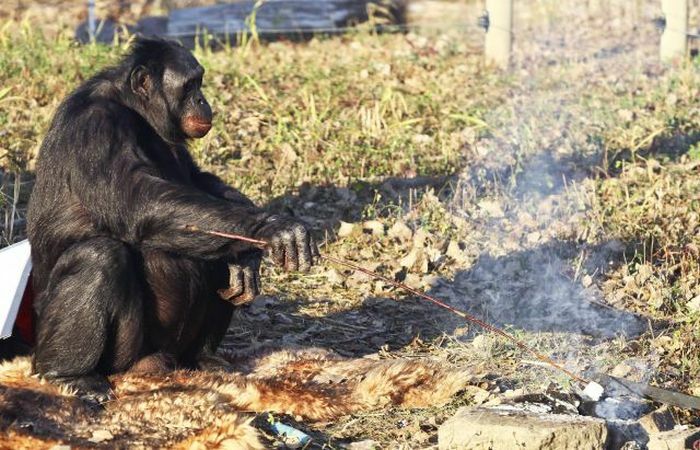 Nothing frozen in this chimp's menu. 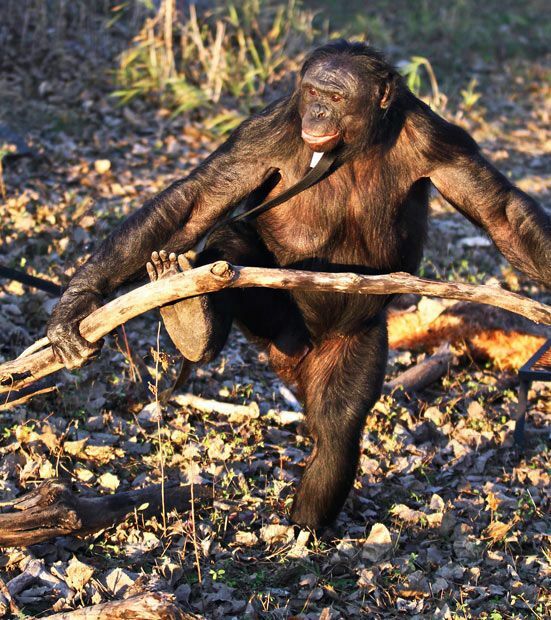 Wow, if Bonobos are smart, or chimps are smart, then they might be sentient beings. And if they are sentient beings then we can't pull this "man sinned and caused all the problems" religious myth we have used to enslave man. Wow, so he HAS to simply be immitating a method he was instructed, because there is no way we can tolerate having animals be beings. We make too much money off their NOT being that.